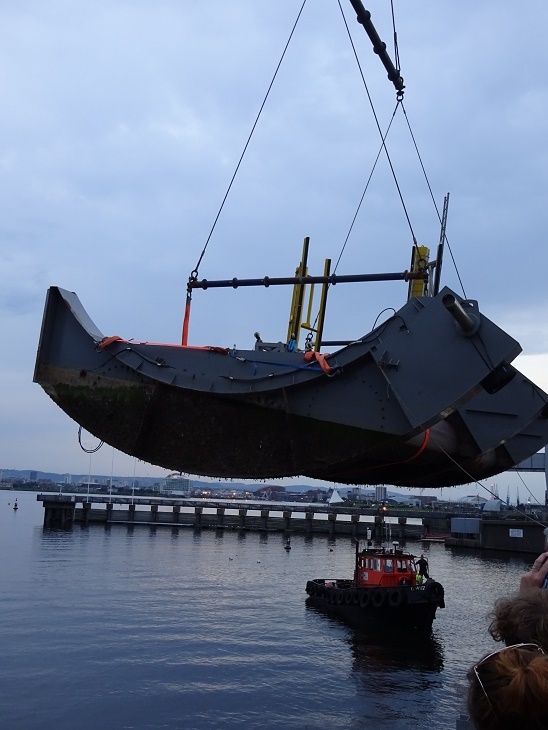 Cardiff Marina’s new Sealift arrived last night, it is capable of lifting boats up to 20 metres in length and weighing up to 50 tonnes, making it the biggest boat lifting facility in the Bristol Channel. This is part of an ongoing significant investment programme in The Marine Group’s facilities. The Sealift was towed from Brixham and then craned over the Cardiff Bay Barrage into Cardiff Bay. 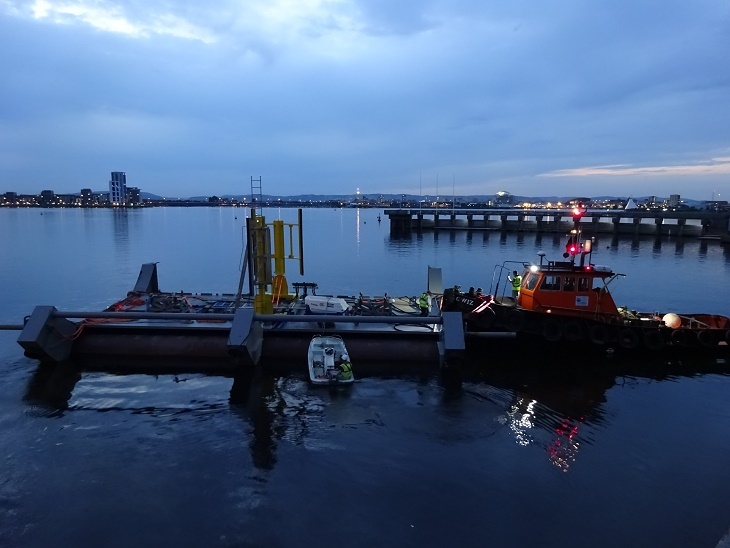 The Sealift is now in position in Cardiff Marina on the River Ely in Cardiff Bay and will allow boats to be easily and quickly lifted out for maintenance work and repairs. The Sealift is a self-contained floating dock that lifts and supports boats above the waterline to stand on their hulls/keels, without the need for lifting strops allowing for a faster and more efficient process. The Sealift replaces the existing boat hoist at Cardiff Marina, and will allow their boatyard team to offer a range of competitively priced packages with quicker turnaround times for lifts and scrubs and complementary services such as hull inspections, surveys, cleaning, antifouling and changing anodes. The system is environmentally friend with all wash off collected and processed through an on-board water treatment system.